I have two new obsessions. 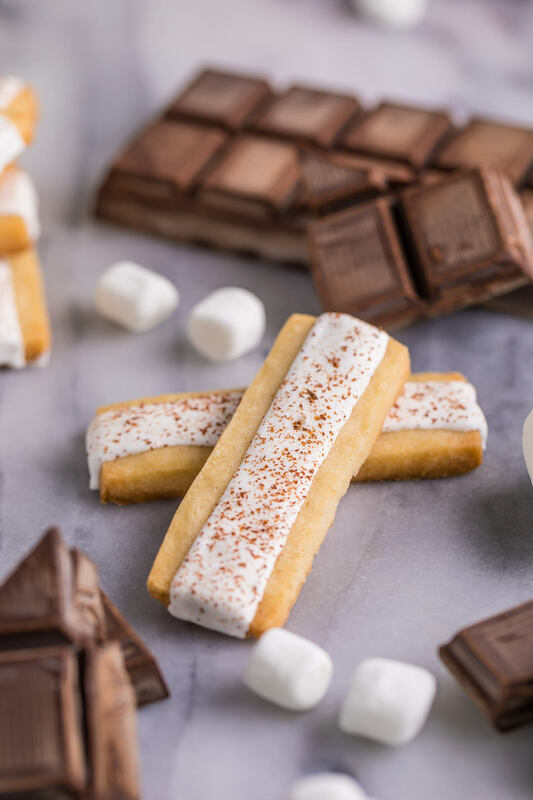 Shortbread everything and marshmallow everything. Not that these are really all that new, but I tend to go through phases where I go ballistic with making recipes with some key ingredients that are on my mind. This week has been one of those weeks. 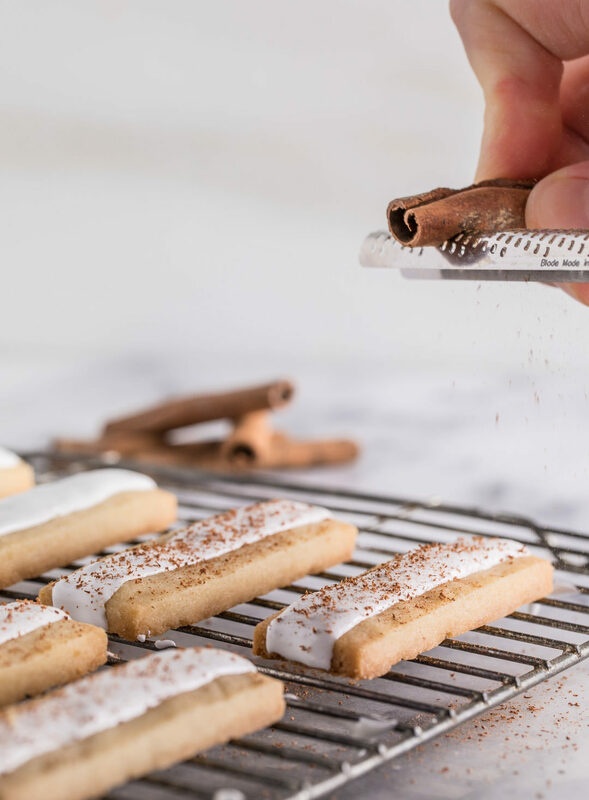 — It’s most certainly cookie season, and cinnamon just feels warmer, so the combination of the two with the addition of an amazing marshmallow royal icing recipe that I’ve been dying to use for a while just seems to make sense. 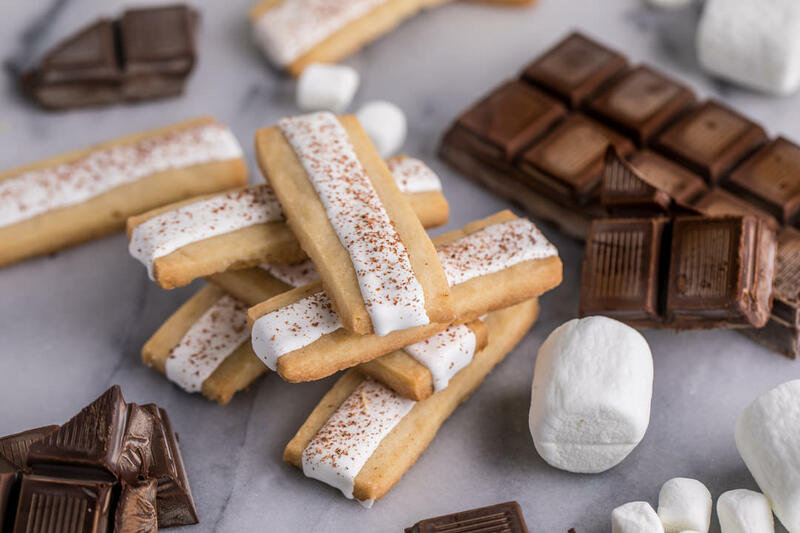 Good shortbread is one thing, but finding the perfect partner to dip shortbread in is the real winner. 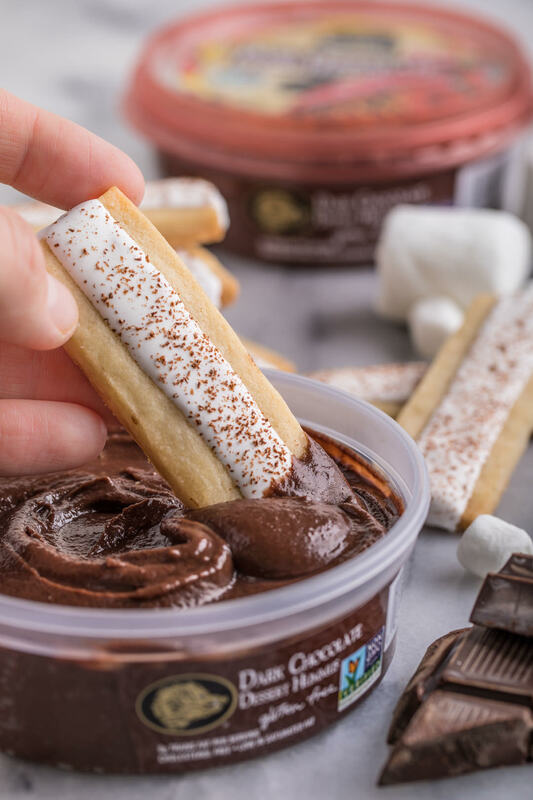 I’ve partnered with Boar’s Head Dark Chocolate Hummus to show you how I like to dip these treats. This is indulgence (without all of the guilt) at its best. 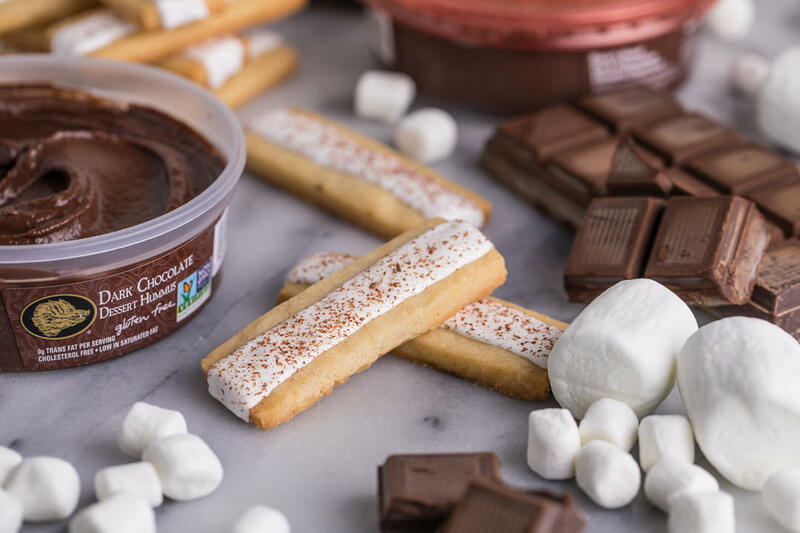 To make Boar’s Head Dark Chocolate Hummus, chickpeas are blended with rich cocoa, organic sugar, and vanilla to give a super smooth dip with the right rich sweetness. It’s gluten free and Non-GMO Project verified. If you’re looking for a great, unique way to sneak a treat, this is the way to go. The texture and taste reminds me of that nostalgic brownie batter that everyone absolutely loves. 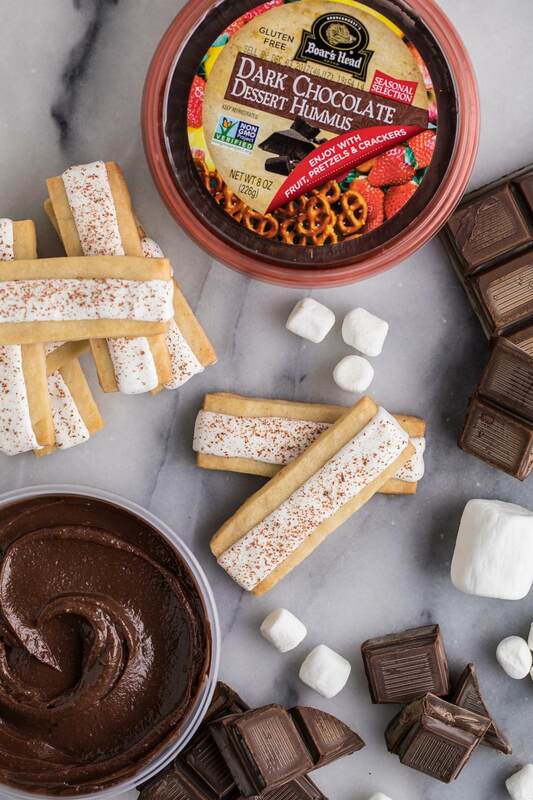 Mixing simple dessert options like this, or even with fruit or pretzels, alongside a sweet dip like this dessert hummus, is a great way to easily bump up your hosting game. 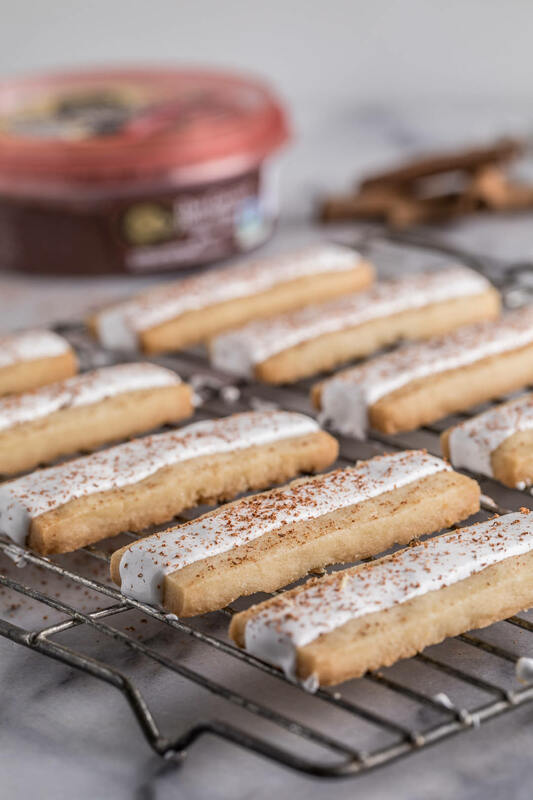 With these simple cookies and sweet dip, this pairing can be ready in minutes. My best advice for making the best shortbread is to use a 3-2-1 plan. Ratios are a winning staple of my own recipe development, and this one is no exception to the rule. 3 parts flour : 2 parts butter : 1 part sugar. Toss a pinch of salt in, and it will never go wrong. 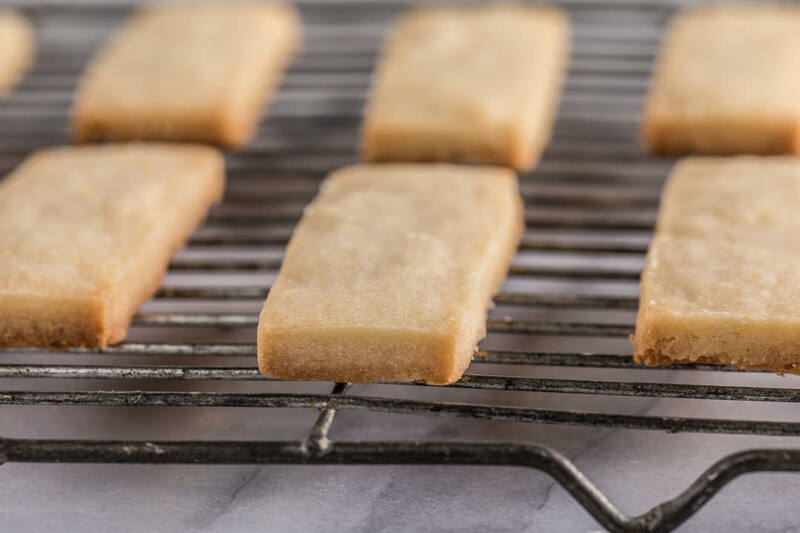 You’re left with a super-flaky, buttery shortbread that is just built for icing. 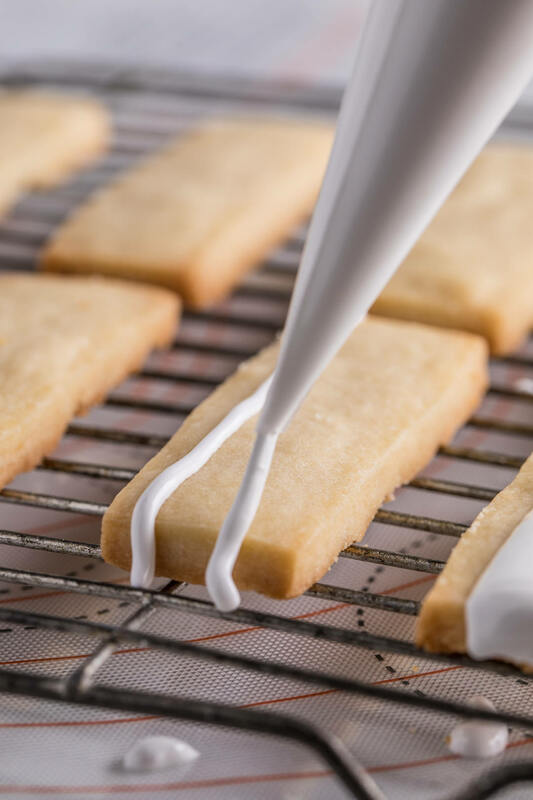 Royal icing is the usual go-to glaze for shortbread, but I decided that I wanted to do things a bit differently for this recipe. You can make royal icing with the addition of marshmallows and get this pillowy, softer icing that almost puffs up like little clouds. It’s a great addition to the crisp shortbread. If that isn’t enough, the sprinkle of freshly ground cinnamon onto the glaze to give that perfect pick for when you dip. — Party game on, y’all! 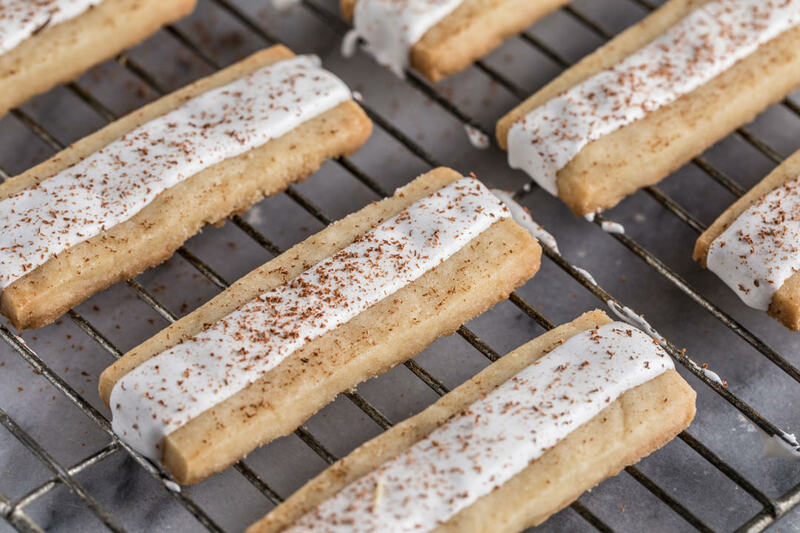 Sweet, flaky, buttery shortbread cookies glazed with marshmallow royal icing and finished with cinnamon. From SouthernFatty.com. Cream butter and sugar in mixer 2-3 minutes until soft and fluffy. If chilled for longer period, or dough is too hard to roll out, let rest at room temperature for 15-20 minutes until pliable enough to roll. Roll out dough evenly. -- I rolled my dough to 6mm thickness. In a LARGE microwavable bowl, place marshmallows and water. Enjoy cookies with Boar's Head Dark Chocolate Hummus to elevate the treat. You can find Boar’s Head Dark Chocolate Hummus in your grocery deli section. В сегодняшний день про работодателя иначе важен диплом, некоторый свидетельствует об полученном образовании, же абстрактные да практические знания, который Вы смогли приобрести в процессе учебы. Как не прискорбно, Университеты в нашей стране в большинстве случаев не готовы ударить те багаж и умения, что просит нынешний работник рынок. Поэтому с каждым годом всё более и намного больше молодых людей осуществляют выбор для обучения за рубежом. Однако перед ними постает положение про то, какую государство да факультет выбрать, какие програмки учебы особенно легкодоступны да какие перспективы трудоустройства после завершению учебы. По данным статистики, среди наиболее популярных английских стран для учебы, Америка – занимает лавровый венок. Так как Америка – уругвай больших возможностей, а южноамериканские дипломы ценятся во всем мире. Какой-никакие занятие в Америка имеет выдающиеся качества? 6. Опыт существования во кампусе сложно сравнить с чем-нибудь еще. Кампус – это комфортное местечко для проживания да обучения, приятные соседи изо разных стран мира, всевозможные спортивные сооружения да площадки, рестораны, клубы и еще многое на кой леший нужно получать образование в США. Do these dry hard enough to stack or bag?